Happy Thursday and Hip Hop! And today is our Ippity Summer Release Day, so it's a BIG DAY!!! And you are invited to celebrate with us!!! Are you ready to see the new stamps in their full glory???? If you liked the sneak peeks, I know you will love seeing the new stamps as well! You can check them out on the Ippity Blog. 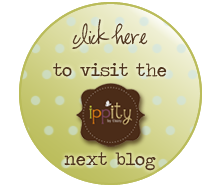 And if you are not an Ippity Chick, you can locate one the same place and get your new Ippity stamps! We hope you come to hang out with us at Splitcoaststampers, it will be a super fun day! But for now, let me share a card of mine that I made with this week's sketch inspiration. And here is my take on it, which I made with one of the new sets I haven't shared anything with called YOU DESERVE. And of course I used our new release papers by Echo Park Papers called Life is Good. 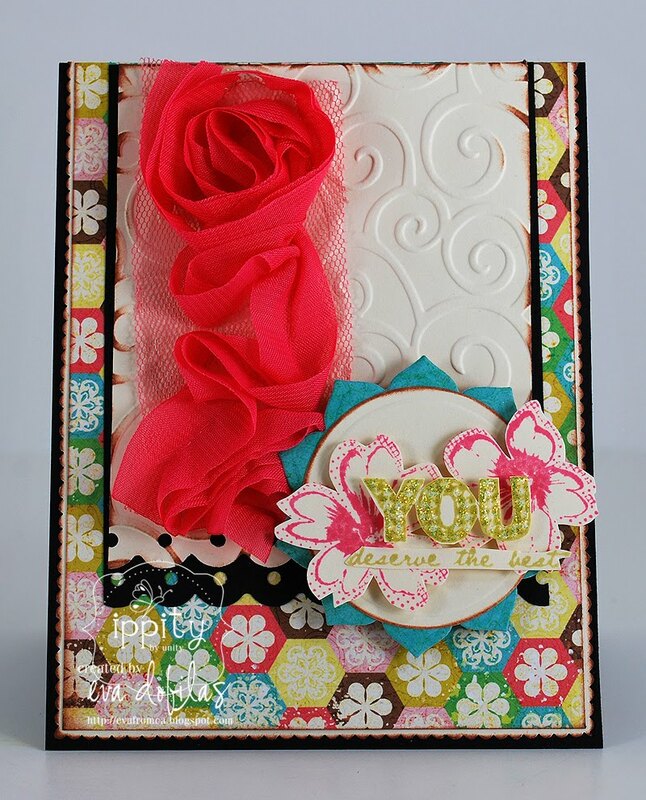 Hope you like my little card and for now head on over to see what gorgeous creation Karen has waiting for you! I know it will be something AMAZING!!! Enjoy the hop and have a FABULOUS Thursday!!! See you at Splitcoaststampers!